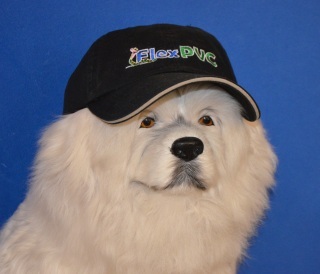 FlexPVC® Logo Baseball Caps, $19.95 each or free with any order over $250! Posted on July 8, 2017 July 8, 2017 Leave a comment on FlexPVC® Logo Baseball Caps, $19.95 each or free with any order over $250! When I input my order the shipping charge was shown as $8.70, after I put my credit card information the shipping went up to $12.61. Now that is not a huge difference, but I wondered why the change. I know that you are shipping my order across most of the country, but that should have been figured in with the first figure. When people add things to their cart we can only give a best guess in the shipping because at the point the customer adds something to the cart, we don’t actually know where they are located. We are in Nevada so it defaults to shipping to NV. Once the customer enters their shipping info it’ll adjust base on their location. So that is why you see it change. I hope this explains it to your satisfaction. It’s 100% safe for food, water, human consumption, etc. to the best of our knowledge and established science and standards. Our Flexible pvc pipe has an NSF51 rating. Generally NSF51 is considered safe for delivery and processing of liquids (wine, beer, milk, etc) during production, however the category our flexible pvc pipe has the rating for is swimming pools. It would pass an NSF51 certification for food if submitted but since 90% of the people using the product are using it for non-food applications it’s not worth the money ($250K and up) to get a separate certification. Furthermore the product would also comply with FDA recommendations. The FDA does not give certifications, it only lists approved products and generally as long as you aren’t using any banned products and stay in the “good list” then the product is considered “compatible” with FDA standards. As for growing edible plants with pvc such as hydroponics, we know of thousands of customers who use it for just the purpose some of them organic certified, so we feel confident it would have no detrimental effects on plants or food. Posted on March 21, 2017 Leave a comment on I would like to understand which type of PVC would be recommended to safely grow edible plants. 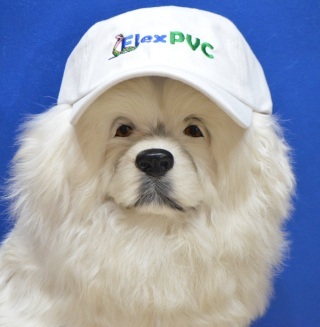 I have read that some types of PVC may not be safe for potable water? Thank you. Pipe size is “nominal” (means “in name only”) and is approx. equal to the inside diameter (ID) of the pipe. The OD (outside diameter) is held to strict tolerances, the inside diameter is not. Pipe wall thickness is set by the pipe’s size and classification and usually expressed as a “minimum wall thickness”, but it can vary. Pipe can be rigid or flexible. Pipe can be clear with a tint or solid colored, but the color is used to help identify the rating and classification of the pipe. Pipe will, by law, have printing on it except for furniture grade pipe which does not have any printing on it. Tubing does not conform to any standards and does not have any third party agency’s ratings. Tubing is usually identified by it’s OD (outside diameter) and ID (inner diameter) which determines the wall thickness. Tubing generally will not fit pipe fittings (there are exceptions). Tubing is not an engineered product for a particular purpose like pipe is. Tubing will have no printing on it and the color is clear like glass with no tint. Flexible pvc pipe is identified the same way as rigid pvc pipe. Flexible pvc pipe is a flexible material engineered to solvent weld INTO pvc pipe fittings with pvc glue or cement and primer. Flexible pvc pipe can be colored or clear with a colored spiral. Flexible pvc pipe will be smooth on the inside and outside. Flexible pvc pipe MAY have a rating or certification from third party agency such as NSF, IAPMO, etc, but not all do. Hose or flexible tubing is identified based up on both it’s ID and OD. Hose or flexible tubing is terminates by going over the barbed end of an insert fitting and secured with a clamp. Hose or flexible tubing can be smooth or corrugated on the inside or outside. Hose or flexible tubing may have some rating or certification from a third party agency such as NSF, IAPMO or others but not all do. While most people think of PVC pipe as plumbing material, and it certainly is used in that capacity, there is an increasing demand for PVC pipe furniture. This is stylish, easy to make, and it allows for unlimited configurations thanks to all the different PVC pipe fittings to make any joint or angle possible. The unique thing about PVC furniture is it is a great do-it-yourself project that requires nothing in the way of special tools. All you will need is a saw, some PVC glue, and a little bit of imagination. There are even free patterns online that identify just how to make different chairs, tables, benches and more elaborate items and provide you with the specific fittings you need to have. For connecting multiple pieces of PVC pipe or to make specific joints and corners, some of the most practical options are the three to six way fittings. These allow three or more lengths of PVC pipe to be joined at a corner in a neat corner or central component depending on the design. For example, the three way PVC pipe fittings will made the top edge of a table or the seat on a chair as they provide the option to bring the two top pipes together to form the right angle, with the third part of the 3-way connecting the leg to make the full corner with support. While the various types of connectors for corners, or elbows which offer a variety of gradual corner options for arms or other types of bends and shape, and important pipe fittings in furniture making, there are also details to add as well. Caps are important as they can act as either the top of a fixture or furniture item, as well as to protect the flooring and the PVC pipe making up the legs. These caps some in a variety of different options from flat to domed and from threaded to slip on types of designs. For attaching the cloth to the frame, there are specialized fittings known as snap clamps. These are ideal for all types of uses, particularly if the fabric, covering or tarp needs to be removed for storage. By choosing the right PVC pipe fittings for the job, you can make your own PVC furniture for your home, yard or just for fun. Be sure to ask for the hi gloss furniture grade pipe if you want something that is strong and great looking. If you have some furniture you have make from PVC, or anything else of interest, send us a picture, we would be really interested in what you have. With over 40 years in the business of PVC pipe and PVC fittings, we have heard a lot of different questions that tend to be asked by many of our customers. There is a significant amount of misunderstanding and misinformation online about different aspects of working with PVC pipe and fittings, and often simply providing the right information will allow the customers to know just what they want for their project. To help clarify many of the issues with PVC pipe and fittings, let’s take a closer look at the most common questions and the answers that are helpful in getting the record straight. What is Sch 40 and Sch 80 PVC? Schedule 40 and schedule 80 PVC are the most common types of rigid PVC pipe. They can now be found in different colors, but sch 40 tends to be white, and sch 80 is typically gray. The schedule 80 pipe is thicker in the diameter of the wall of the pipe that sch 40 and is more commonly used when pressure is a factor in the pipe. The outside diameter is the same for the pipe, the inside diameter will vary based on the thickness of the wall. When choosing PVC fittings to work with either flex PVC or standard PVC you will need to know the specific types and size of the pipe to choose the right fitting. Can PVC pipe be used for chemicals? Since there are so many different types of PVC pipe it is important to realize that this is not a simple yes or no answer. Instead, it will be important to check a PVC chemical resistance chart to determine if it is a good option or not. While PVC fittings and pipe are generally safe for use, they can be damaged by some chemicals. Remember if the PVC pipe isn’t considered acceptable for specific types of chemicals, then the fittings shouldn’t be used either. Also, check for concentration limitations on the rating as well, although this doesn’t apply to all chemicals and mostly just the acids. What is the best option for gluing PVC pipes and fittings? There are a lot of different options out there in the plumbing section of any local hardware store for gluing PVC fittings to PVC pipe of any kind, both rigid and flexible. The lowest cost, easiest and most dependable option is using traditional primer and PVC pipe cement, which is readily available in any hardware store and even department stores. The other option is to use Gorilla Glue, which is very popular when the pipe is used with aquariums or for irritation since it is organic and non-toxic. Be sure to look around on the website, including the FAQ page, for more information on PVC pipe, flexible pipe and everything you need to know about our fittings.